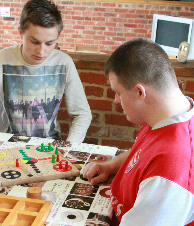 We support people who have complex challenging needs, learning disabilities and/or mental health needs. Do you enjoy a challenge? Do you want a rewarding job? Do you want regular relevant training to assist you in your work? Can you see a person and not a behaviour? Do you believe in Positive Behaviour Support and Person Centred Active Support? Are you enthusiastic and do you have lots of get up and go? If you can answer yes to all of the above then come and join us at TLC.